I went through this when we moved houses & you'd of thought someone told me they were taking my car. It was devastating! Truth be told, I actually sat down one day & went through my entire list of shows that are dvr'd and wrote them all down, channels & all. There was NO way I was going to miss recording one of my shows. My husband says I'm addicted to my TV. Honestly, I dont know what he's talking about. So glad to know I'm not the only one Lin!!! I too will be going through and writing them all down! We have gotten a new DVR a few times, and the best system is to list everything in an Excel file with all of your recording settings. It's a pain to go through and set all of it up again, but it's the only way we have found to make the transition smooth! I love my TV and think time shifting with the DVR may have saved my marriage - so I know what you're going through. We had to upgrade our unit when it died suddenly and I did lose a bunch of shows I had saved. It was sad at the time, but the mourning period was short! I hope you find your improved service is worth a little bit of inconvenience. You are going to gasp but we don't have a DVR at my house. (!) Never have and not sure we ever will. Double gasp! Don't get me wrong, I love watching TV shows, but I try to limit what I'm hooked on. Right now I watching past episodes of Mad Men on Netflix and I'm totally into it. Other than that, I channel surf and don't mind the commercials that much. A lot of them make me laugh. But hang in there! If you lose them all, you will survive! Such a funny post! We went through the same problem but we were sad over the Disney shows and movies we lost. However, the good news? 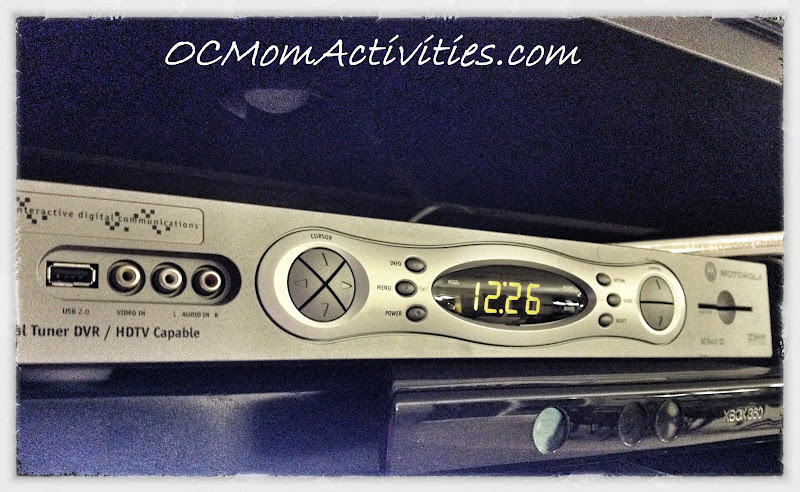 We now have multiple DVR's in the house and mom has one all to herself! Hello my new friends Real Housewives! Oh wow, I know what you mean - I went through the same thing when we switched from Time/Warner to Verizon. It's like, "hurry up and watch this!" It was so hard for me to give mine up too when we cancelled our cable. Now I have fallen in love with Hulu for all my shows.